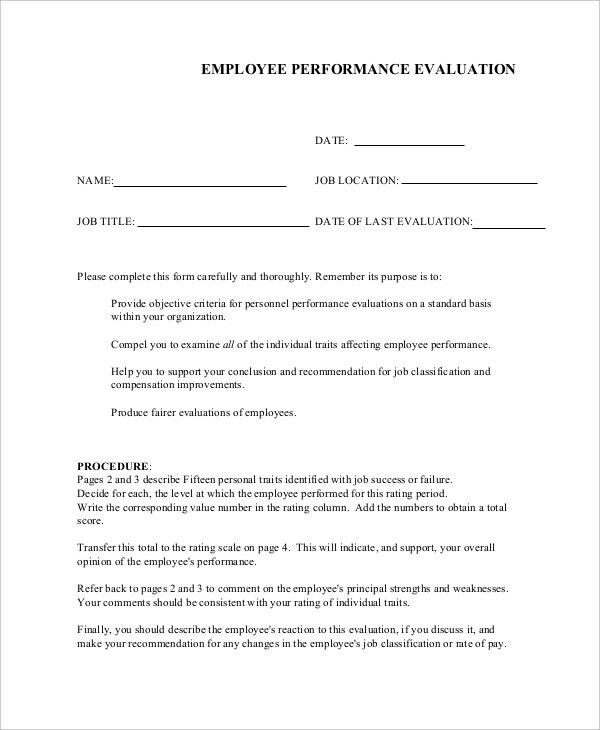 If you are looking for performance review templates, this one would be the thing for you. 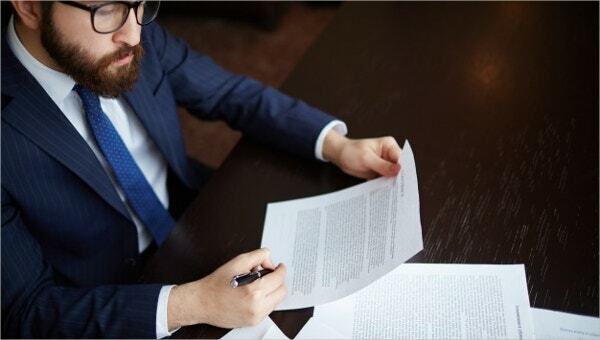 It comes with a detailed list of personal traits and attitude as observed in the office followed by space for the employee’s strength and weaknesses. 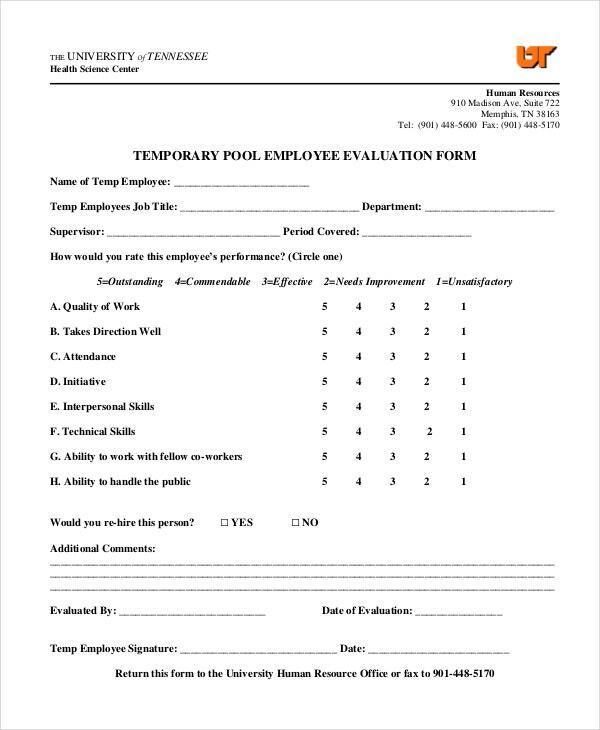 If you are looking for Employee Job Interview Evaluation Forms that will enable you to assess an interviewee’s performance after an interview, this form here would be the thing for you. You can rank the different criteria observed and also write little notes on your observation. 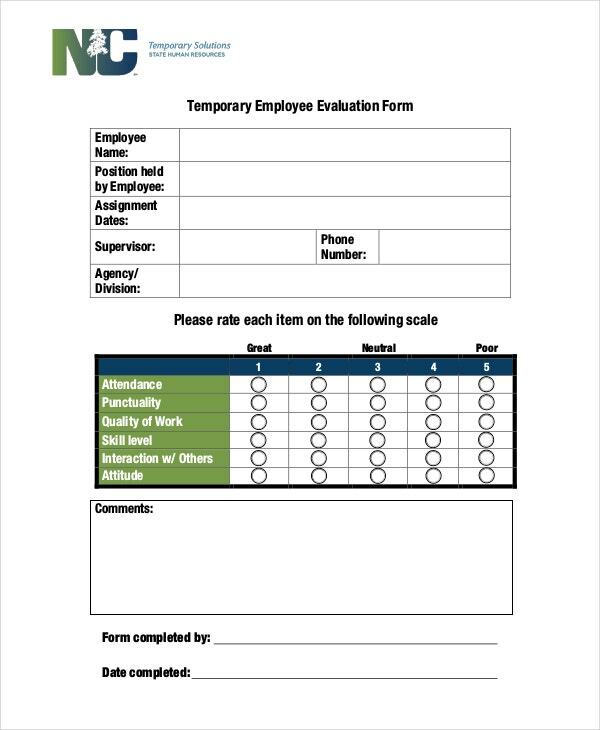 If you are looking for employee performance feedback forms, this form would be handy here. 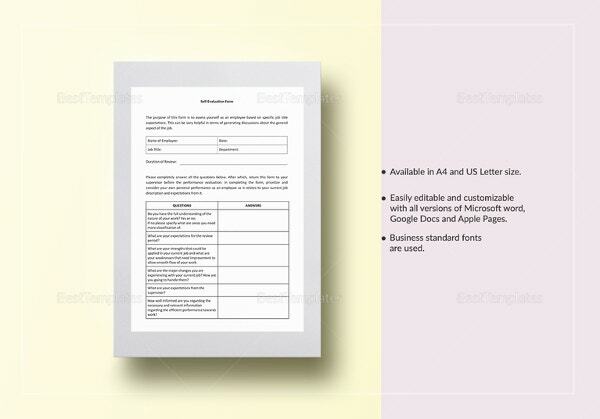 The form lists the different characteristics to be observed in the employee and offers space for rating and comments. 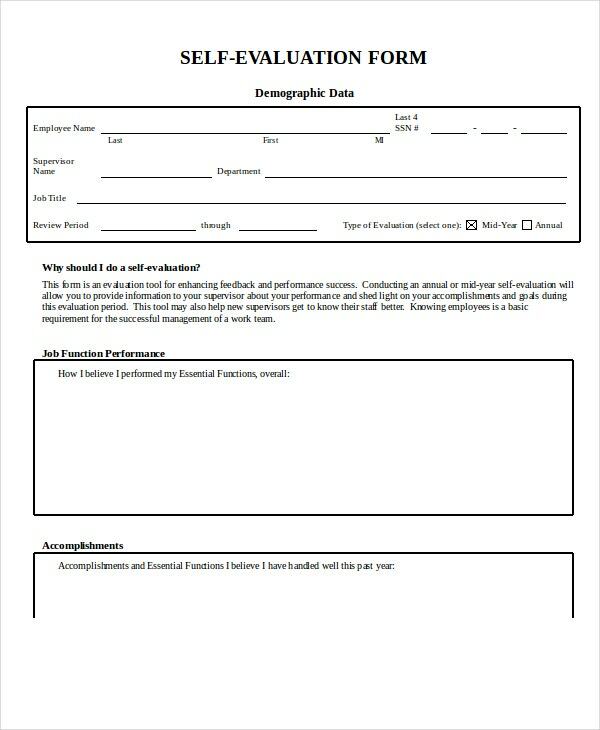 > What Constitute an Employee Evaluation Form? Some of the evaluation templates even contain a brief on the definition of each of the gradation codes. Moreover, there would be space for the evaluator to mention the strengths and weaknesses of the employees. 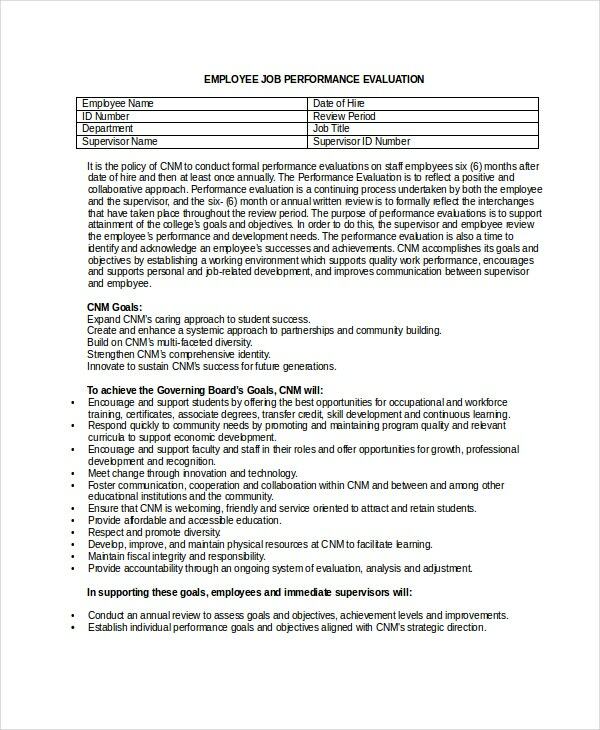 A lot of such templates even provide space for the employee to leave comments on the evaluation. 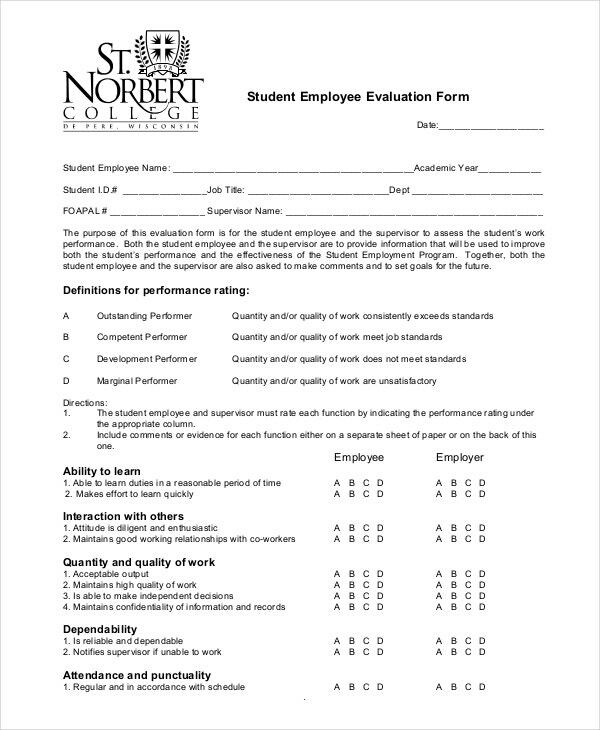 You have a detailed student employee evaluation form here which begins with definitions of the grades to be given by the manager for each of the evaluation parameters of the employee- and then goes down to list the evaluation parameters. 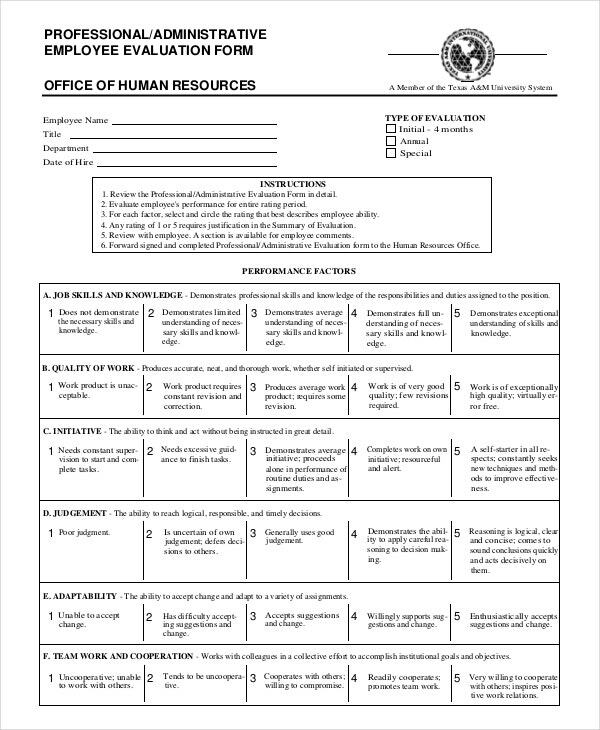 > What is the Purpose of Employee Evaluation Form? 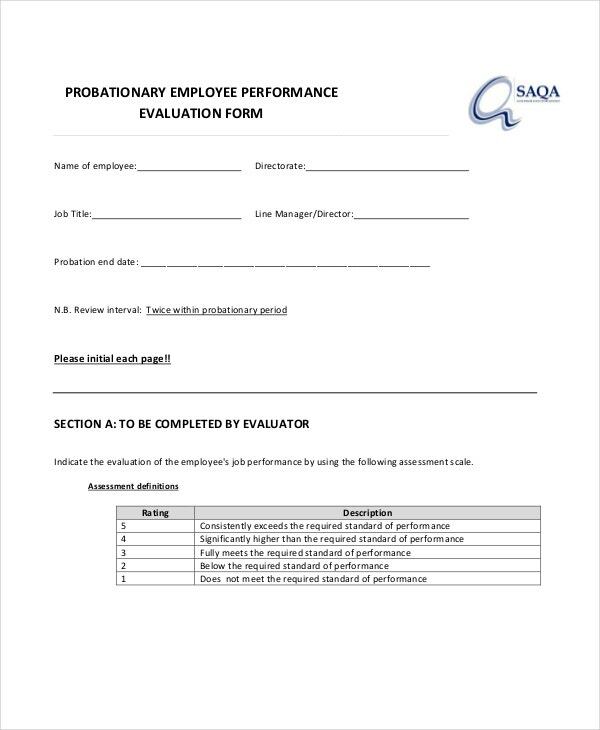 Are you about to conduct an employee evaluation in your office and are looking for ideas on evaluation form? 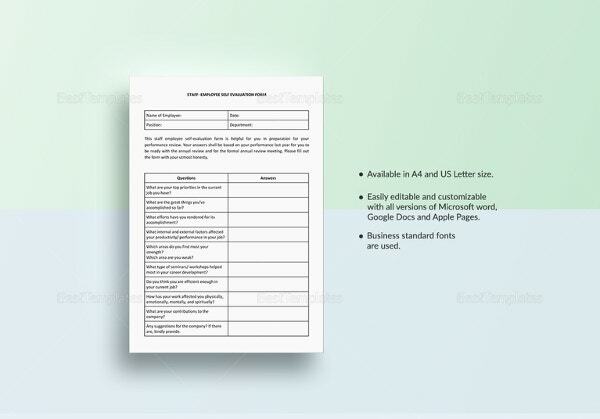 Well, the templates mentioned above would be of great help for you here as they come up with a pre-designed evaluation form structure. You would simply have to download and customize them with your own data.